Thinking of a Career as a Vocational Education Teacher? 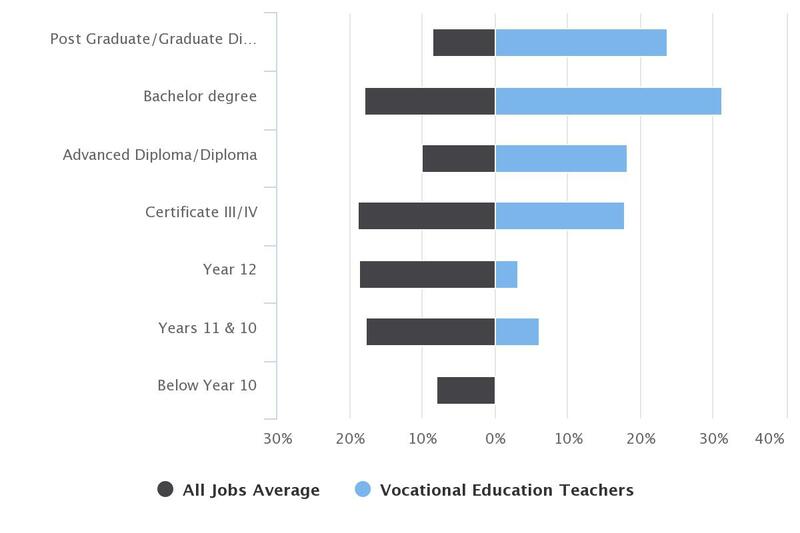 Vocational Education Teachers teach one or more subjects within a prescribed course of study at technical and further education institutes, polytechnics and other training institutes to tertiary students for vocational education and training purposes. Over the years to 2023, the number of job openings for Vocational Education Teachers is expected to be average around 25,700. Job openings can arise from employment growth and people leaving the occupation. 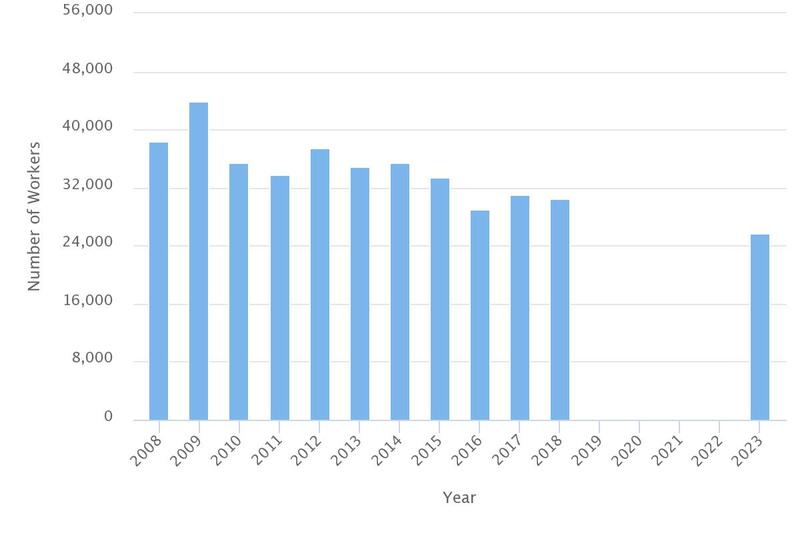 Employment in this large occupation (30,400 in November 2018) will fall slightly in the next few years and in the long-term (ten years). 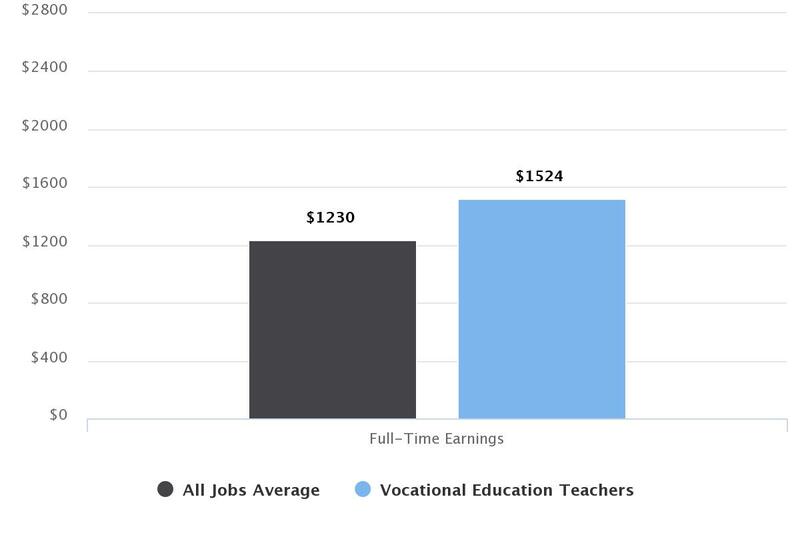 The average wage of a Vocational Teachers Salary with 5 years experience in Sydney $79,248 per annum. The average work hours is around 40.1 per week for this occupation, compared with all occupations. Source: *Job Outlook Government website. ABS Labour Force Survey. As expected, most people are in the 45-54 age group in this industry. 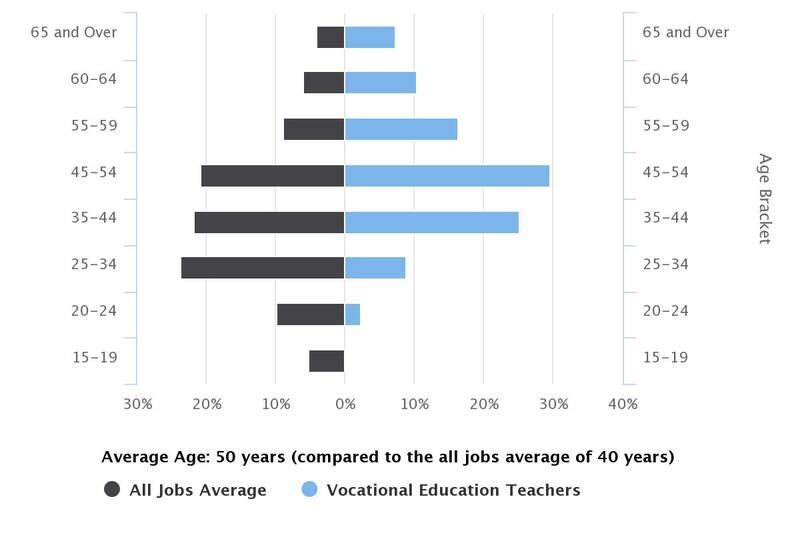 Average age is around 50 years, as compared to all jobs average of 40 years. Source: ABS Labour Force Survey. Around 18.2 % people have an Advanced Diploma/Diploma and 23.6% have Post Graduate/Graduate Diploma. What Training and Assessment Qualification Do You Need? What does your day to day job as a Trainer and Assessor entail? I have a weekly schedule rather than a daily one. I teach, I do applied literacy for VET courses and then I teach a blended learning program. I do one day of elearning and develop materials. My other day is about “teaching excellence” it’s about the delivery of the course. How long did the course in Training and Assessing take you? It only took me seven months and I had a break in the middle. I stopped for a total of about two months when something came up in my life. Doing a course flexibly online was great as I was able to fit the course in around my yearly rhythm. Does online study take discipline? Of course it does. You are self-directed. If you are already in the workforce that discipline translates to your course. One thing I would recommend with online study is “make sure it’s relevant to your life”. It’s important to find your own work/study rhythm. Tell us about the award you won recently. I was awarded the Gordon TAFE Teacher of the Year 2012 Award (also called Award for Excellence in Teaching and Learning). It was a very unexpected and a great honour. What’s the best thing about online learning? Being able to take control of your learning. You can drive it. You can think for yourself. You can be more pro-active. You learn better employability skills. People who learn online are good at multi-tasking. Elearning makes you independent and proactive. The best thing about online learning is how independent it makes you. Thanks, Jason, for sharing your story with Open Colleges.